Give Aways > Airbrush Give-Aways! 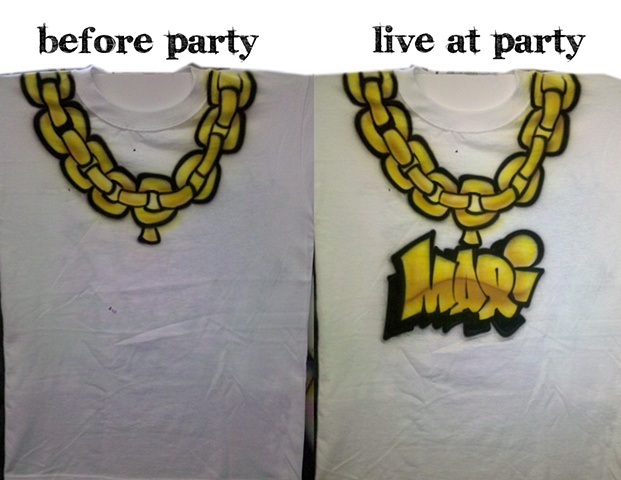 Chains were airbrushed before the party. We personalized each shirt at the party. Ask us about our live airbrushing!